DK Packing has an excellent reputation as a specialist in contract packing and inventory management. The company’s expertise enables it to work with customers to provide them with the solutions and operational support they require to achieve their supply chain objectives. As an example over 95% of product received is processed and dispatched within 48 hours of receipt. The DK Group operates from a number of locations in the United Kingdom and Europe. Operations at Rugby and Coventry provide easy access to the M1 and M6 motorways. We recently installed a new storage systems at the Coventry facility. 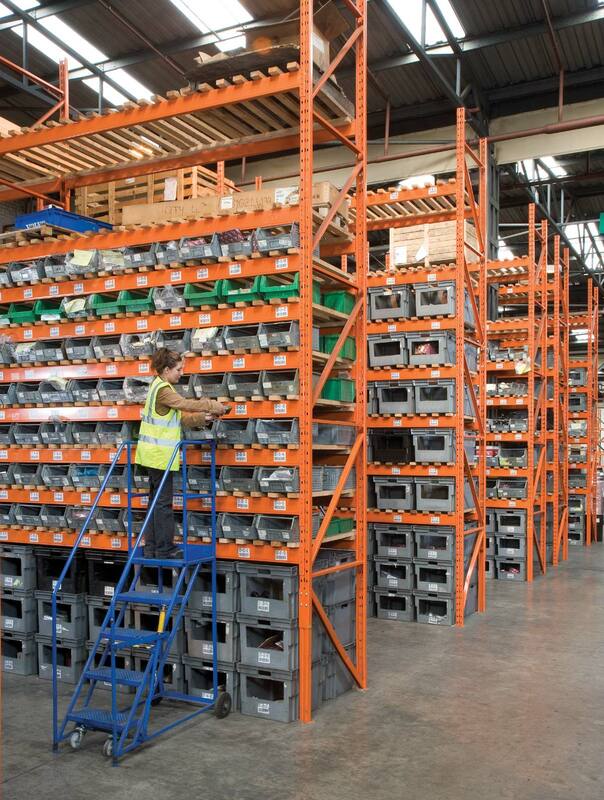 The pallet racking was installed in an ‘L’ shaped area in two phases. Nine double runs of racking nearly 45 metres long with traversing tunnels provide the bulk of the storage space. 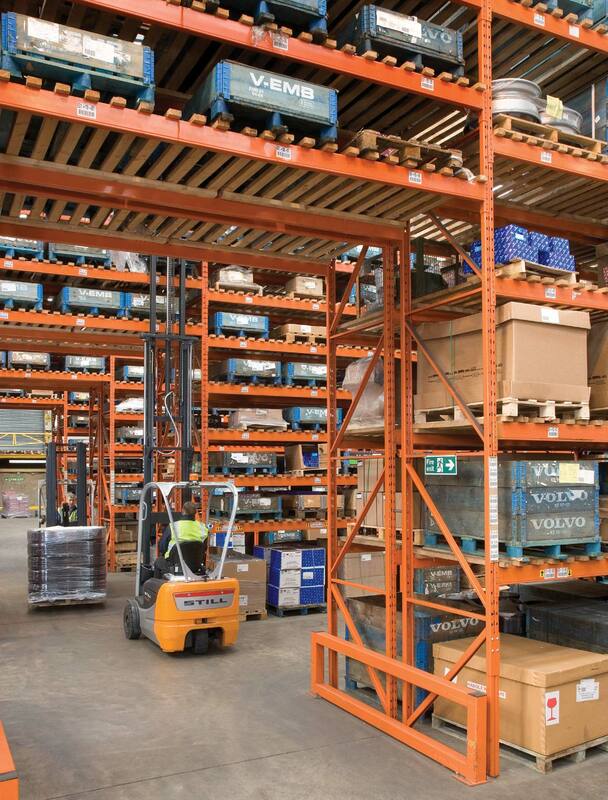 The majority of the racking is wooden decked to cater for the wide variety of pallets, totes and containers that the company handles. The racking rises to 6.3 metres, with the top beam being at just over 5.5 metres. Regular counter balance trucks work the system and our sacrificial leg is used throughout on vulnerable uprights. Aisle end barriers complete the system.